The Augusta Training Shop, a non profit work center established in 1947, employs mentally and physically challenged adults ... with a purpose. 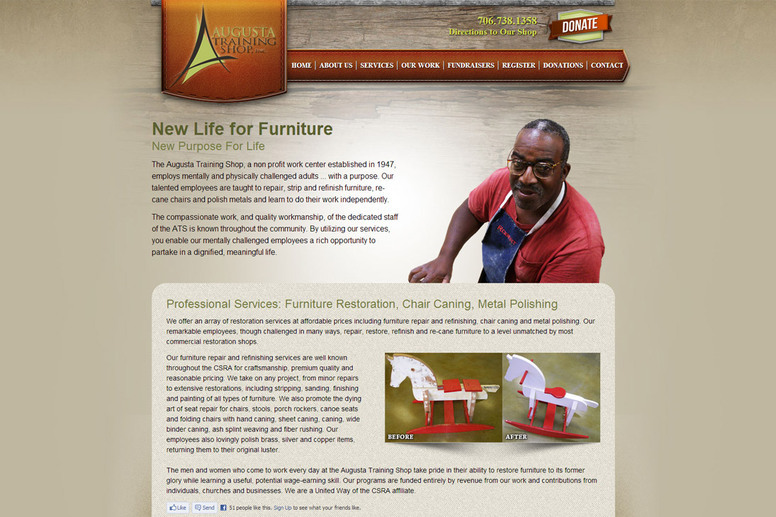 Its talented employees are taught to repair, strip and refinish furniture, re-cane chairs and polish metals and learn to do their work independently. The compassionate work, and quality workmanship, of the dedicated staff of the ATS is known throughout the community. By utilizing the services, clients enable mentally challenged employees a rich opportunity to partake in a dignified, meaningful life. This site was completely redesigned and redeployed to replace an outdated Flash site.